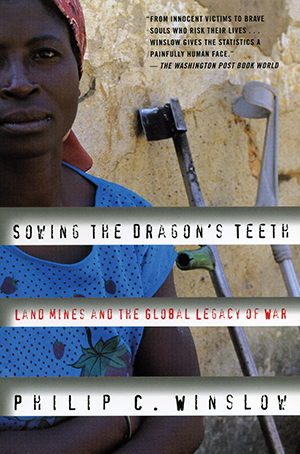 Each year an estimated twenty-six thousand people are killed or maimed by land mines-more than 100 million of them sown like the mythical dragon’s teeth in over seventy countries. These weapons are designed to maim soldiers, but most victims are civilians, especially the rural poor. Winslow writes about these people and the Campaign to Ban Landmines (which was awarded The Nobel Peace Prize in 1997). He tells about the efforts to pull the dragon’s teeth from the earth so that it can be restored to those who live on it.